Inspiring Employees, Grand Openings, Big Celebrities, Special Events, Amazing Food, The Best Concerts. Get a glimpse behind-the-scenes at how it all comes together at USA Today's most highly rated casino destination. "Back of House” returns with an all-new season as we look deeper than ever before behind the scenes in hospitality and entertainment. Grand openings, big celebrities, special events, amazing food, concerts and sports all collide as viewers get an all-access pass to one of the largest resort destinations in the world. Explore it all, from the back stages of electrifying entertainment venues and luxury hotel suites to the back hallways and offices of key executives. Deadlines are tight, as a group of dedicated employees navigate their daily jobs in a quest to make each guest’s stay a great getaway. See how it all gets done. The Sun Wine and Food Festival is back and is better than ever. Lindsay has a roster full of celebrity chefs including one of her biggest bookings to date, Snoop and Martha Stewart. She wakes up for the big weekend with a bad cold, but is determined to not let it derail her quest for the perfect event. Chef Lynn is tasked with making 30,000 desserts per day. He considers himself a conductor and his staff is the orchestra. His job is the grand finale of every meal and he is always looking to make a lasting impression. The Connecticut Sun prepares for their battle against the Las Vegas Aces, as excitement fills the air. It’s a basketball season with endless possibilities. The moment is never too big for Amber as she takes a deep breath and remembers to soak it all in. It’s crunch time as Dan and Jeff make all the last minute building and inspection preparations for the grand opening of the Earth Expo & Convention Center. The construction team and others, are working around the clock to ensure the ribbon cutting goes off without a hitch. Kevin is preparing his team for a sold out concert with Britney Spears. The crew has 48 hours to transform the venue and get it ready for the big night. It’s going to take a lot of sweat and coffee to make sure it all comes together in time. Peyton Manning is stopping by for a private meet and greet with a group of VIP guests. Jessica is dealing with last minute requests and making sure both the luxury suite and The Cabaret Theatre are ready for the big night. A last minute transportation problem has Derrick coming in to save the day. Jeff has the VIP customers on his mind as he is laying down the foundation for a luxurious expansion. Whether it’s going over samples with Ray and Dave or tasting new menu items from Chef Doucette, Jeff is determined to bring the best service to Mohegan Sun’s guests. Mary is gearing up for a big day: the grand opening of the Mandara Spa and hundreds of college students checking in. A customer with a problem sidetracks her and Mary attempts to rectify the situation before her morning meeting starts. Did you miss the Telly Award-Winning Season 1? Catch up now! DJ Khaled is playing for a sold-out crowd in the 10,000-seat Arena, but this is the last thing on Lindsay’s mind as she gets ready for the after party at Avalon nightclub. She attempts to dodge all sorts of curveballs while making all the last-minute preparations. Erica has her game face on this week. She has money to give away and two casino promotional events that must go off perfectly. Don must be ready and on-time for Erica’s “Hot Seat Thursdays” promotion with his expertise on the table games computer system. Rachel Lindsay, fresh off her finale on ABC’s The Bachelorette, comes to Mohegan Sun for an exclusive Q&A and signing for her fans. Melissa oversees making sure the event goes off without a hitch, as Kim requests last-minute arrangements from Chef Lynn to build something sweet and special for Rachel and her fiancé. The gigantic Barrett-Jackson collector car auction comes to Mohegan Sun for the second time. Derrick is tasked with making sure nearly 2,000 cars arrive to property on time and that everything runs smoothly. It's all hands-on deck as Jeff pulls employees from all departments to ensure that the resort is prepared for over a half million guests to come through its doors. It’s the launch of Hot Summer Fun, a huge promotion for the casino, and the team is turning up the heat. Jeff and Erica visit a series of radio stations with a lot of nervous energy to promote their first rooftop party of the season. Last year was a big hit with their guests and they’re determined to go one-better, weather permitting, of course. Mohegan Sun Arena is gearing up for two sold-out nights of Kenny Chesney. Greg is running around making sure all preparations are made. He has a lot of ground to cover so he enlists the help of Jennifer to ensure everything gets done on time. There’s added pressure when Susanne asks Greg to squeeze in a last-minute meet and greet for one of her VIP customers. Subscribe to hear more about the excitement happening at Mohegan Sun and be entered for your chance to win one of three prizes! Explore all of the possibilities Mohegan Sun has to offer with a Grand Prize of a $500 Mohegan Sun gift card! Win a $250 Mohegan Sun gift card for second place and a $100 Mohegan Sun gift card for third place. 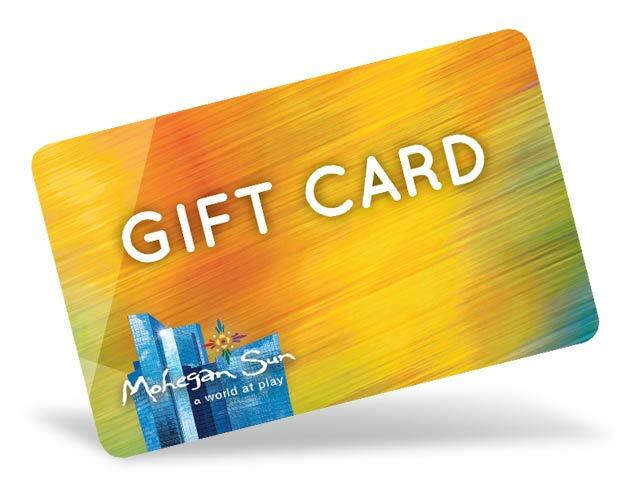 Use Mohegan Sun gift cards for hotel stays, concerts, restaurants, shops, spas and more! * Indicates a required field. Must be 21 years or older to be eligible to win. By entering this promotion, you are opting in to receive email offers from backofhouse.tv and Mohegan Sun. Subject to availability. Blackout dates may apply. No cash value. Offer is non-transferable. Offer valid at Mohegan Sun's Connecticut location only. Subscribe to hear more about the excitement happening at Mohegan Sun! As well as series updates about Back of House! * Indicates a required field. You must be 21 or over to enter. Jeff has risen up the ranks quickly becoming the Assistant General Manager. He loves the guests, but the employees most of all. Jeff thrives on the excitement of seeing Mohegan Sun teams coming together to accomplish almost anything. He has been heavily involved with new projects like the Expo center and Aspire, but still makes time for family and community. Confident, fun and caring, Lindsay prides herself on a "family first" lifestyle that always puts her daughters and husband at the top of her list. Even with a challenging schedule, she excels in her duties, planning and executing events with chefs, artists and celebrities. Her roles at Mohegan Sun have been the perfect way to combine her BS degree from Drexel University with her Music Industry minor. With over 15 years at Mohegan Sun, Jessica has developed quite a passion for the Hospitality Industry. She has worked in many different positions, from a Casino Accounting Rep to her current role as Director of Special Events. She takes great pleasure being part of a full process, from event conception to reality. Jessica’s day doesn’t end when she heads home. Not only is she a proud parent of two and an aunt, she is also pursuing her Master’s Degree and works as a Hospitality Adjunct Professor at Nichols College. Since 1969, at the age of 15, Lynn has been a big part of both the culinary and hospitality industries, working with chefs from every corner of the world. With a firecracker of a personality and over 20 years at Mohegan Sun, he serves proudly and passionately as Director of Culinary and Executive Pastry Chef. Chef Lynn spent his childhood on his parent's dairy farm in the South of Wales, charting a big life course of food and art! From an early age, this self-proclaimed “science geek” has had a great interest in tech, studying Aeronautical Engineering. A devoted father of 3, Kevin wouldn’t trade his passion for his role as Technical Production Manager for the world. However, he does strives to make time for family cookouts and more whenever he can. Kevin now works with amazing people from all over the world due to Mohegan’s expansion. When he hears the first cheers from the crowd when a concert starts, he’s in his glory! Amber’s love of sports doesn’t stop at her role as Vice President of Mohegan Sun Sports. Not only does she love watching games at home while hosting friends and family, but her wife, Kyle also works in sports. Only two years into her position with the WNBA at Mohegan Sun, Amber takes great pride in watching her teams succeed both on and off the court. She is also in charge of the professional indoor lacrosse league’s New England Black Wolves, also at Mohegan Sun. Mother of two, Mary has recently given up the last bit of free time she had for the new addition of a puppy to the family. With 17 years at Mohegan Sun, this Director of Hotel Operations stresses the importance of working hard and getting along with your “work family” just as much as the one at home, especially since you sometimes see them more! She loves the excitement of her job and being able to work in an environment where every day holds something new and exciting. Delivering great guest service is her passion among the wide variety of things she does daily. Dan joined the team on day one in 1996. A valuable asset to the Mohegan community, he has held many different positions over the years, now serving as the Vice President of Facility Operations. Dan is thankful to work in an environment that fosters creativity and values the suggestions of all members of the team on every level. In his free time, he spends time with his family and enjoys working on his classic car as well as riding around on his motorcycles. Also a man of the community, Dan coaches youth sports and serves on multiple boards and commissions for the town of Griswold, where he resides.